Anyway, underneath all that grime (of which there was plenty) was a surprisingly decent paintjob with only a little rust bubbling up here and there, all steel 27″ wheels with white wall tyres, Dia Compe caliper brakes and the original 10 speed Huret drivetrain with some really nice engraved detailing. The initial tear down complete and I was starting to get an idea of what I wanted to do with the bike; I was keen to retain most of the original features but with a modern twist. 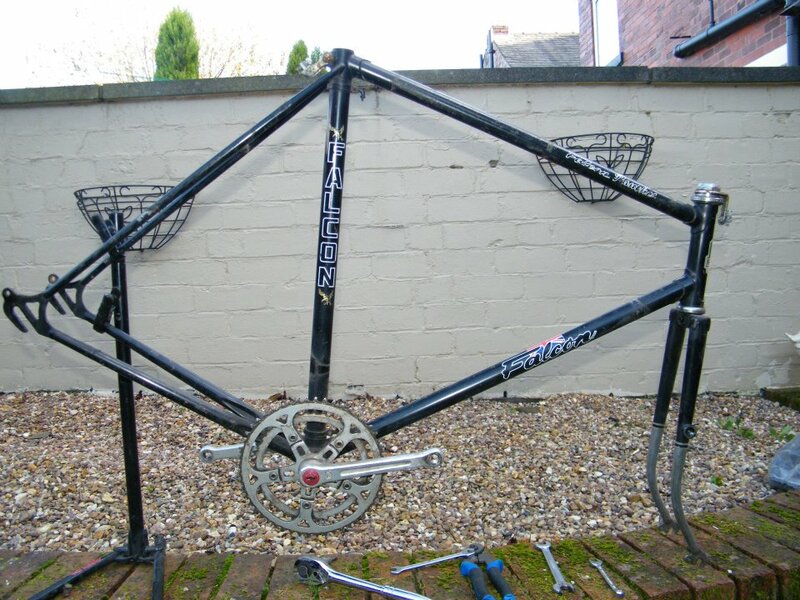 As is almost always the way with these things, the bottom bracket and headset bearings were completely shot, the jockey wheels in the rear derailleur had collapsed long ago but most of the other mechanicals were in need of nothing much more than a good clean. I decided to ditch the original all steel wheels in favour of a brand new set with polished alloy rims and stainless steel spokes which give all the beauty and strength of the originals with none of the weight! I also managed to lay my hands on some new old stock narrow white mudguards (also from the 1970s) which fit the slightly narrower than normal 27 x 1 1/8″ Continental Ultra Sport tyres perfectly and I think they give it a really cool albeit unusual look. To continue the black and white theme, I chose to keep the original stem and splurge on a set of Charge’s excellent Slice bullhorn handlebars which I fitted with some vintage Dia Compe bar end brake levers to match in with the Dia Compe calipers; the bar tape is also by Charge and is also white… or, was white for at least a few minutes! So, lots and lots of frustrated hours and a second replacement bottom bracket later and I finally got the chainline just right and the old 10 speed was back on the road! 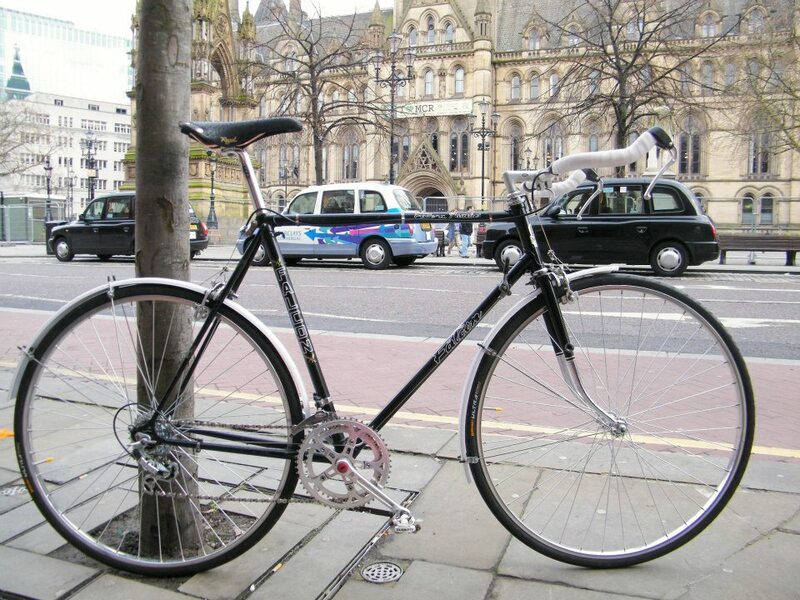 I took it into Manchester for a 15 mile shakedown ride, showed it off to the guys in my favourite bike shop and turned more than a few heads hopping over the seemingly endless tram tracks. Yep, it’s fair to say this is one of my all time favourites! Sweet ride mate! I’m about to embark on my first classic rebuild and if you don’t mind me picking your brain a bit … It would be much appreciated! Thanks! You can absolutely feel free to pick my brains; I’ve certainly learnt a thing or two working on the older ones. What do you have planned? I trust you’ll keep us posted on the progress. That is a very sweet ride–excellent job at bringing it back to life and getting it back on the road where it belongs! Thanks! I’m so glad I did too; it would a tragedy to see it on the scrapheap. Glad to hear there’s another Panther out there somewhere! The ‘thingy’ you refer is called the chainset and, unless you have the right tools and you know what you’re doing, they can be a little tricky to work on. 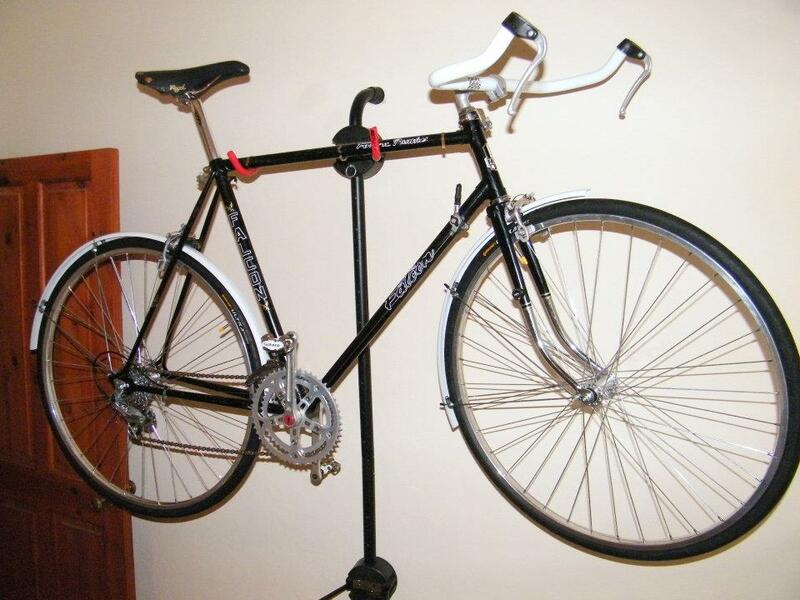 The best thing you can do is take it to a good bike shop and get some advice, you may have damaged it by trying to replace it with the other one. As for the wheels, your old ones are probably just fine (a little surface rust won’t do any harm) but again you’ll want to get them checked over by a bike shop. If you’re looking at replacing them, you can buy replacements but be careful of the size. Have a look at the tyres on your current wheels (they’re probably 27 x 1 1/4″) which means you can either buy a new set of 27″ wheels and tyres or, if you want something more modern, you could buy some 700c wheels and tyres but you’ll also need to buy some new ‘deep drop’ brakes because 700c wheels are slightly smaller than 27″ wheels. 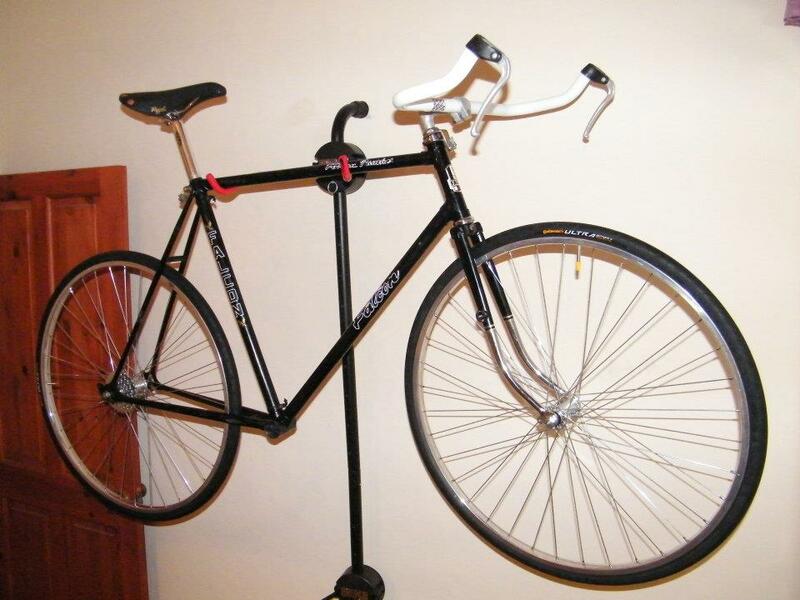 Obviously, 700c tyres don’t fit on 27″ wheels and vice versa. Hope this helps and best of luck getting your bike back on the road! Thanks! Sadly I don’t own this one anymore, I was forced to sell it when my collection started getting too big! I bought the saddle from Pro Bike Kit (probikekit.co.uk) and I think I got the seatpost from eBay. As I recall, it’s a 26.0mm diameter but your original one should have the diameter stamped on it somewhere. As for the saddle, almost all of them use standard size rails these days so I’d recommed getting some advice from your local bike shop on what would work best for you and then all you have to do is choose the colour! Cheers thanks for your advice. I never tried them with bar end shifters but I don’t see why they wouldn’t fit, the internal diameter should be fine. Hi. Glad to see another Panther. 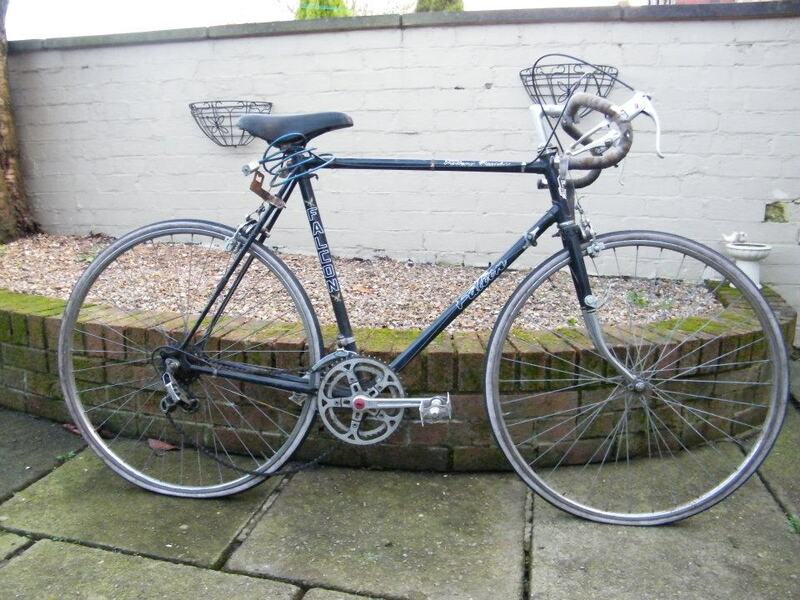 I have just bought an old one from gumtree. It’s the same colour as yours and I think the same size as well. These are probably the best bikes for customizing as there are no brazen ons other than the integral bits like the rear stays ect. I have just one question. Do you know what steel the frame is made from? Mine is light as a feather and has absolutely no rust despite having plenty of bare metal showing from chips and scratches. I suspect it’s 531 but there are no Reynolds stickers at all. I’m afraid I don’t know what the steel is but I’d suspect Reynolds too. I certainly miss how light that bike was – I ride a Surly Troll set up for touring most of the time these days which is, well, not light! Falcon do have a history of using Reynolds 531. Before they were purchased by Elswick-Hopper in 78, they prety much only made mid to high end frames that rivaled even Italian manufacturers. Try as I might though I can’t find any definitive records of the Panther, but I am sure it’s pre 78 at least.